You can always count on Dr. Freund, Dr. Kelinson, and the Aesthetic Rejuvenation Center to be on top of the latest and greatest new technologies in the world of beauty; Eskata for Raised Age Spots and Cryoskin for slimming, toning and wrinkle reduction. ESKATA is the first and only FDA-approved topical treatment for raised seborrheic keratoses. SKs are harmless spots that pop up as we age. While they may appear concerning, you shouldn’t worry if you have them. SKs are non-cancerous and generally don’t cause any pain or discomfort. A simple, quick in-office procedure can have remarkable effects! 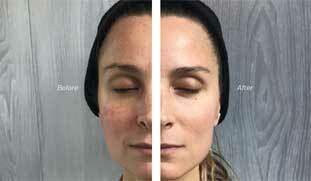 Some patients require 2 visits for the spots to completely disappear. Less fat, more you! Cryoskin is a non-invasive session used for slimming, cellulite reduction, and skin toning. This is not another cream, scrub or massage. It’s a proven biological process backed by science. Increased collagen production, less fine lines and wrinkles, cellulite disappears, fat pockets are gone. No Photoshop. No filter. It’s you, it’s real. That’s the power of Cryoskin. CryoSlimming: Consists of a 28 minute 3 phase thermal process that will help naturally slim the body. Whether you’re looking to lose inches on your stomach, thighs, arms, or back this is the solution for you. 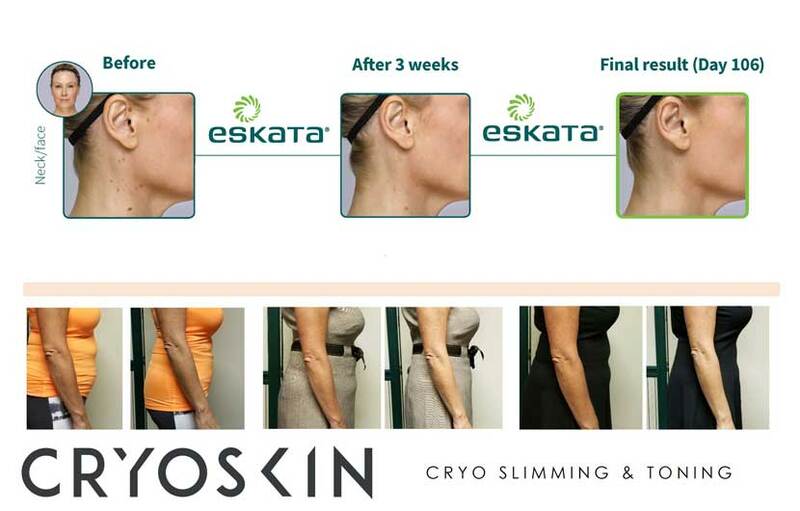 Tests conducted in Europe have shown Cryoskin to reduce fat by an average of 38%. Cryoskin heating and cooling effect has been found to increase oxygen supply, aiding collagen production. What does that mean for you? No damage, just smoother skin, and a reduction in fine lines and wrinkles. Click here to read more about all the benefits of Cryoskin. Previous Post 20% off Platelet Rich Plasma Facial Procedures Next Post 20% off Cutting Edge Treatments!